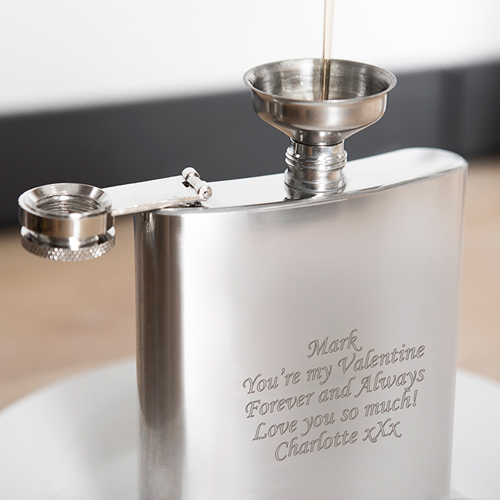 This 6oz stainless steel Hip Flask can be engraved with any message over 5 lines and up to 20 characters per line. Comes presented in it's own presentation box. Engrave with any message over 5 lines and up to 20 characters per line.